Joyce Carter, née Jarrett, passed away on April 20th, at the ripe old age of 92. This much-loved Limpsfield “legend”, owner of Joyce’s on Limpsfield Chart for over 25 years, will be remembered by several generations of local Limpsfield and Limpsfield Chart residents. Her funeral will be held at St Peters at noon on the 16th of May. The following has been put together in conjunction with George Jarrett, Joyce’s nephew. Joyce Charlotte Jarrett, was born in 1925, a daughter to Charlie and Edith Jarrett. Charlie Jarrett and his wife Violet, had five sons – George, Arthur, Jimmy and the twins Frank and Bob. Violet sadly died soon after having the twins and in following years, Charlie married Edith, and Joyce and Eric came along. Joyce was baptised at St Peter’s and after meeting William (Bill) Carter through his working connection to her father, Charlie, she was also married there in 1949. On her wedding day, 1949. Joyce and Bill lived in Godstone for their first three years together. They had four children – John, Pam, Arthur and Mary. Joyce with son John (left) and daughter, Pam – taken in the summer of 1951 in Hookwood Park. 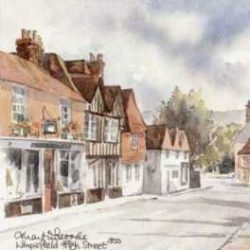 With Limpsfield in her blood, Joyce was never meant to be away for long and in 1953, the couple and their young family moved to the shop and home in Limpsfield Chart. The locally famous Joyce’s Store had a treasured run of 25 years, providing a general store, post office and much-loved sweet shop to local families. According to her daughter, Pam, Joyce was amazingly green-fingered always growing things from seed and getting them ready for her beloved garden. She loved her greenhouse and would spend hours and hours in there, pricking out her seedlings. She knew so much about gardening and was really very good at it. A particularly warm and friendly character, Joyce was loved by all. She had a loveable character and would often be heard cackling with laughter! “Even at a ripe old age, she’d have people captivated by her stories of growing up through the war and everything to do with managing her shop”, said Pam. An adored grandmother to 10 grandchildren and great-grandmother to eight great grandchildren she had so many young people to cherish, keeping Joyce happy and proud to the end. 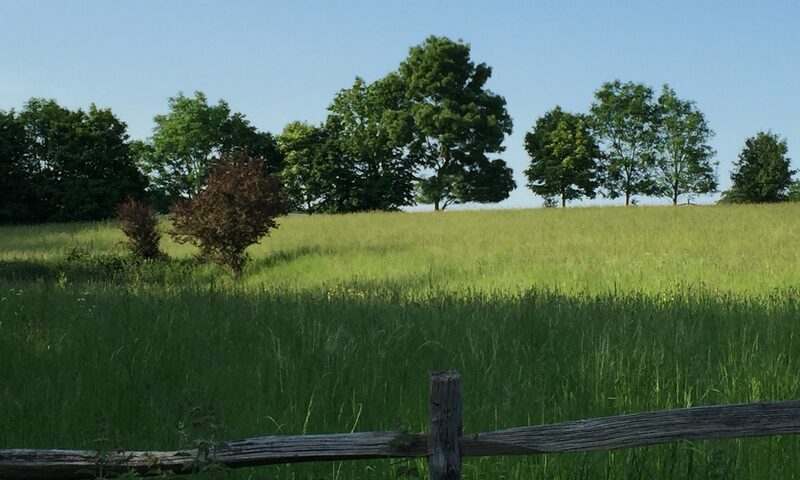 Joyce was Limpsfield through and through and, as she so keenly wanted, she was able to pass away at home. She will be buried in St Peters on the 16th of May, alongside her grandmother, Charlotte (from whom she got her middle name) and surrounded by family members, including brothers Jimmy, Eric and Bob. Those who knew her are very welcome to attend the service. Photos provided by Pam Gray (Joyce’s daughter), Arthur Carter (Joyce’s son), and nephews, George and Charlie Jarrett.